The 2016 Victoria’s Secret fashion show is worthy of a high-five for reducing their weave budget and for featuring four models of colour who proudly wore their natural hair. 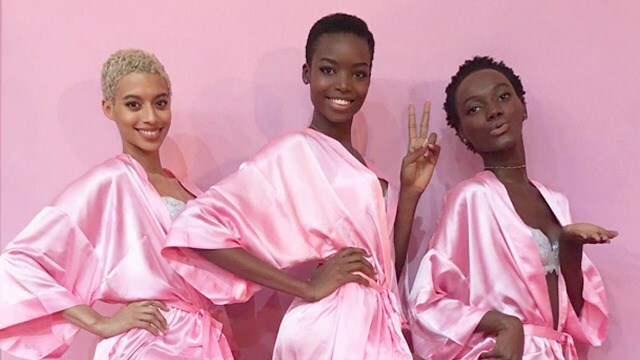 During last year’s show, Angolan model Maria Borges walked the runway, as the first black Victoria’s Secret model to wear her natural hair, and this year she was joined by three more beautiful ladies who stood out from usual Victoria’s Secret model template. Herieth Paul from Tanzania, who has featured in campaigns for Tom Ford and Calvin Klein confidently, rocked her natural afro. Jourdana Phillips rocked a wavy blonde pixie cut. Alanna Arrington graced the runway with her loose curls to add to the hair diversity. Miss Borges slayed the VS runway for her second year with her tapered TWA (Teeny Weeny Afro). After making history at last year’s show, Maria revealed how she was not sure about the acceptance of her walking in the show without the usual long bouncy hair worn by Victoria’s Secret models during the show. Well done Maria for asking for what you want! You have helped Victoria’s Secret to finally realise women with different hair textures can promote their brand and look just as good.